One of the highlights of the academic year at Lombard College was the competition for the Swan Oratorical Prize. During the nineteenth century, oratory was a popular form of entertainment. 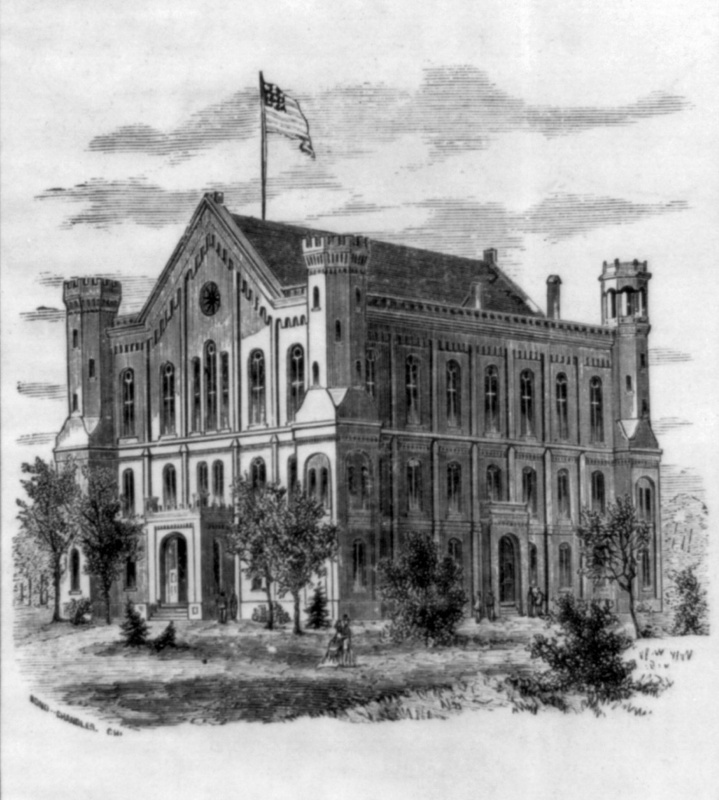 Individuals could learn about history, public affairs, geography, and cultural subjects by attending lectures conducted under the Chautauqua tent, in opera houses on Main streets, in the lecture halls of schools or sanctuaries of churches. Each February students at Lombard composed and memorized lectures on carefully selected topics in order to compete for the $15 Swan Prize. The prize was worth $430 in today's money. Carl Sandburg entered the competition in 1900. He had previously joined the Erosophian Society, a literary and debating society. The name of the society meant “love of learning.” He had also taken several courses in elocution and public speaking. He hoped to train his unreliable memory and improve his voice so as to express his thoughts more clearly. He chose as his topic the Norwegian explorer, Fridtjof Nansen (1861-1930). He had led an expedition which was the first to cross Greenland in 1888. Maude Minor (1880-1967) was the professor of public speaking and elocution at the college. The Ryder Divinity School, which was part of the college, required prospective clergymen to learn how to deliver their sermons in the most persuasive way. She was charged with instructing them in that skill. She also coached the Swan Prize participants. Unfortunately, Sandburg forgot the next sentence about half way through his speech. Miss Minor gave him the next line from the wings of the stage in the Lombard gymnasium. He had done the same thing few years before at the Mission on South Seminary Street during the Demorest competition. His best friend, Frederich Dickinson won the prize that year. He entered the Swan contest again in 1901. This time he chose John Ruskin, an English art critic and social theorist, as his subject. Sandburg had witnessed the long hours and low pay his father endured as a blacksmith's helper in the Chicago, Burlington and Quincy Railroad Company. Ruskin's writings helped Carl clarify his own ideas about the problems of workers in America. Carl worked hard on the speech to make his sentences clear and to make the words sound convincing. He rehearsed it many times and knew every sentence from the beginning to the end. Winning the Swan Prize in 1901 was a turning point for Carl Sandburg. He gained confidence in his writing and in his memory. He developed a taste for putting words on paper which could be brought to life for the listeners. It was the beginning of a technique which he would expand and use the rest of his life. After the contest was over, Carl and the second place prize winner (who received $10) took their friends for an oyster supper at a restaurant in downtown Galesburg.